of both the Pacific Ocean and Mt. Haleakala. Beach Park III, offers stunning views of the Pacific Ocean. 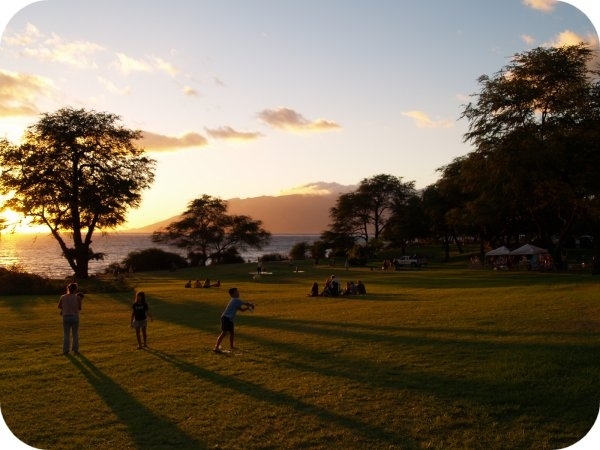 Kamaole Beach Park III has uncrowded beaches for fun and relaxation. above average number of sunny days making your stay at Hale Kamaole an enjoyable experience. The best Maui sunsets are at Kamaole Beach Park III across from Hale Kamaole.